The one prefers French shutters of PVC-U, the other of aluminium. Both have their strengths. Decide for yourself which of these materials you prefer. 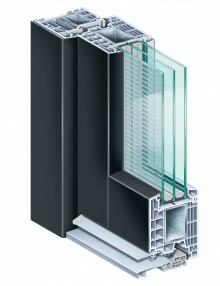 The French shutter system Elba consists of aluminium, i.e. it is light and yet stable, in particular its special load bearing properties at the corner connectors. Provides effective protection against wind, weather, and heat. The air cushion between the window and folding shutter keeps noise outside. Wide range of plain colours and woodgrains. 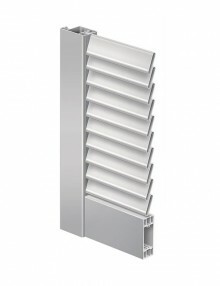 Hinged shutter system of aluminium profiles with adjustable or fixed slats. Panelling is also possible with board profiles 24 mm thick. 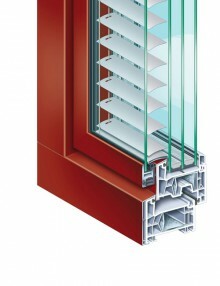 The hinged shutter can be installed on the window, the wall, or in a special box-type casement. Corner connections for excellent static properties and high stability. All profiles are anodised and undercoated for perfect laminate bonding. Shutter lock with retainer. Optionally with longitudinal, angle, or adjustable hinges. There are things whose invention is simply good, like the boarded shutter. The original form of the boarded shutter has lost none of its function to the present day. The air cushion between the window and hinged shutter keeps noise outside. Boarded shutter system with closed surface, in rustic design, for the optimal exclusion of light. 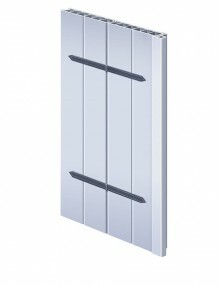 Available as hinged boards or hinged shutters for old and new buildings. 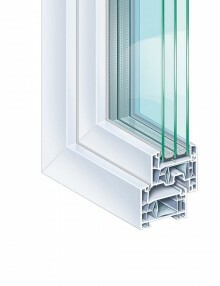 All PVC-U profiles produced with the environmentally friendly calcium-zinc stabiliser “greenline”. 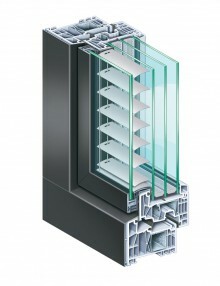 KÖMMERLING 88 is a high-insulation 7-chamber centre seal system with a modern construction depth of 88 mm. The standard system version returns an outstanding Uf value of 0.95 W/(m2K) and so fulfils the high energy saving requirements for passive houses. The special feature though: Unlike similar solutions, this value is achieved with the steel reinforcement for max element sizes and on colour profiles as well. 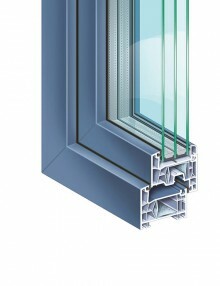 TROCAL 88 AddOn is the innovative compound sash of the future. 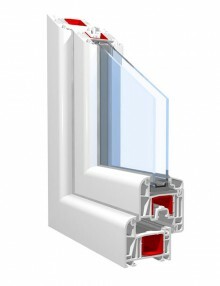 Fitted with the perfect composite protection, the PVC-U window system can be combined with the successfully established TROCAL 88 AluClip system. Thanks to its combination of PVC-U and aluminium, TROCAL 88 AddOn features not only optimal technical values, but also a convincingly modern look. The AluClip aluminium cladding provides virtually unlimited colour potential for elegant aluminium designs and the optimal insulating values when combined with the modern PVC-U profile system KÖMMERLING 88. 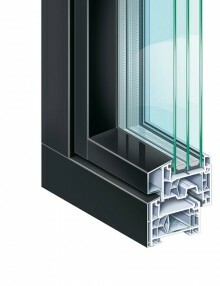 With its elegance, weather resistance, and easy care, the material aluminium is a convincing solution in window manufacture. 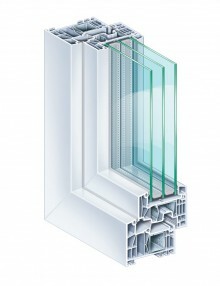 PVC-U, on the other hand, provides the optimal thermal and sound insulation in addition to functional reliability. 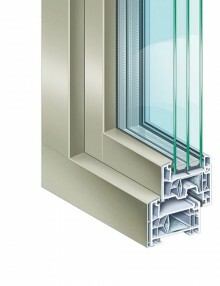 KÖMMERLING 88 AluClip unites both for you: Aluminium and PVC-U in perfect harmony. And this with an almost unlimited choice of colours for the aluminium covers due to finishing techniques such as anodising and powder finishing. 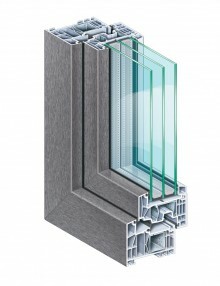 Yet the convincing features of the new profile generation are not only its energy saving properties, also the architectural potential directs our eyes to the future: The stable structure can take triple or ultra modern functional glazing up to 56 mm thick. KÖMMERLING 88 makes large windowed areas possible for a visually appealing facade design with outstanding sound insulation values. In addition, large windowed areas allow the passage of more solar energy – especially in the cold seasons – and so minimise energy needs and hence CO2 emissions. 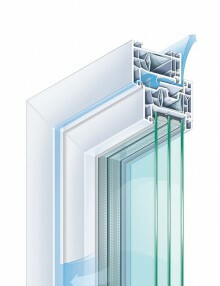 Wide glazing range up to 56 mm for installation of triple and special functional glazing. based on calcium and zinc. 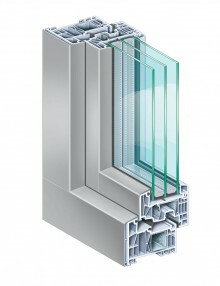 KÖMMERLING 88 AluClip residential door systems are characterised by a plethora of technological specialities providing a high level of reliability, outstanding thermal insulation, excellent weather tightness, and good static properties. You will always make the right decision with the KÖMMERLING 88 AluClip premium residential door system.